For the purposes of this document, we will be creating a Banner ad for the Shoe Store example listed above. We are using the Cloudbase 2.0 Template created by CloudAccess.net and we will featuring the Banner in the Showcase Module position. After logging into the Administration area (the back end) of your site, the first step in creating a Banner is to create the Client. To do so, go to Components > Banners > Clients. Once saving your work, return to the Banner Manager: Clients page. You will see the Client that you created. 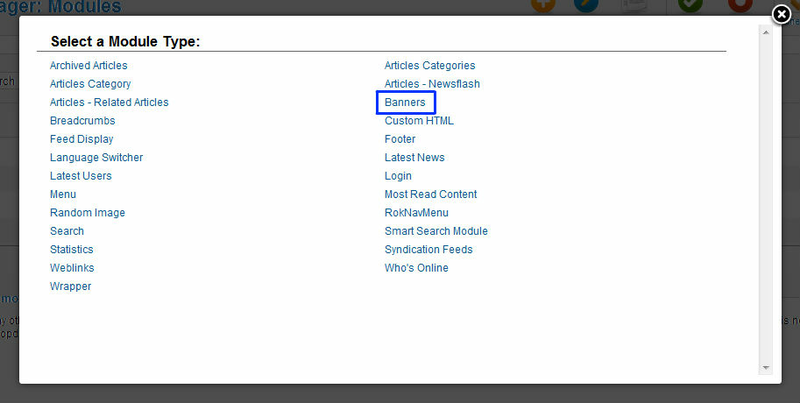 The next step is to go create Categories for the Client, and you ll do this by going to the Categories tab. At this point, return to the Category Manager: Banners area, look for the Category you created, and select the Banners tab to create a Banner. You ll be prompted to select a Module Type. Select Banners from the list that appears. To create the Module, add a title for the module, determine whether you d like to show or hide the title, and select a Module position (you will have already wanted to determine the position by visiting your Template s Module Map). 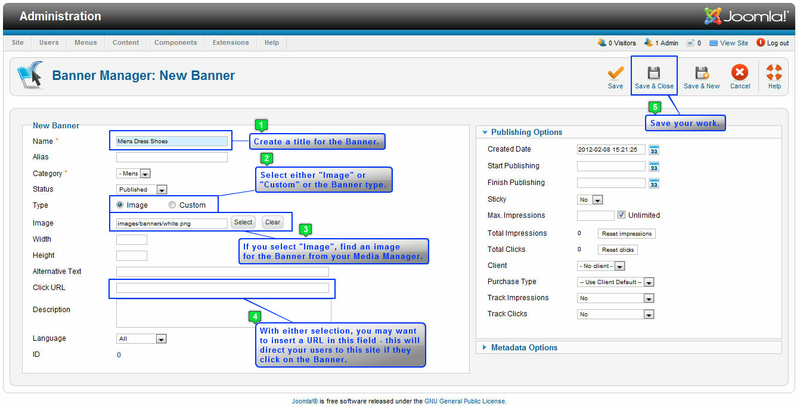 You ll also want to select the the Banner you created in the "Basic Options" area. First, select the target for the Banner Module link (if active), select the Client from the drop down menu, and select the Category from the list available. Be sure to change the status to Published add save your work when you re done.